While touring Savannah, Norm found the inspiration for this unique piece in Marty Johnson's antique collection. Though its name remains a mystery, there's no question that its graceful three-leaf-clover design makes it an attractive and practical accent table. 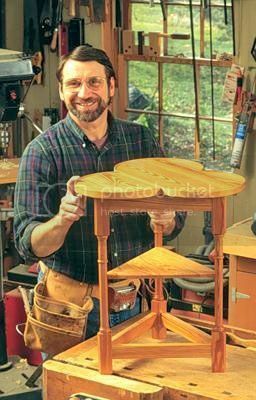 Norm brings a little bit of Georgia back to the New Yankee Workshop when he creates the table out of Southern heart pine.